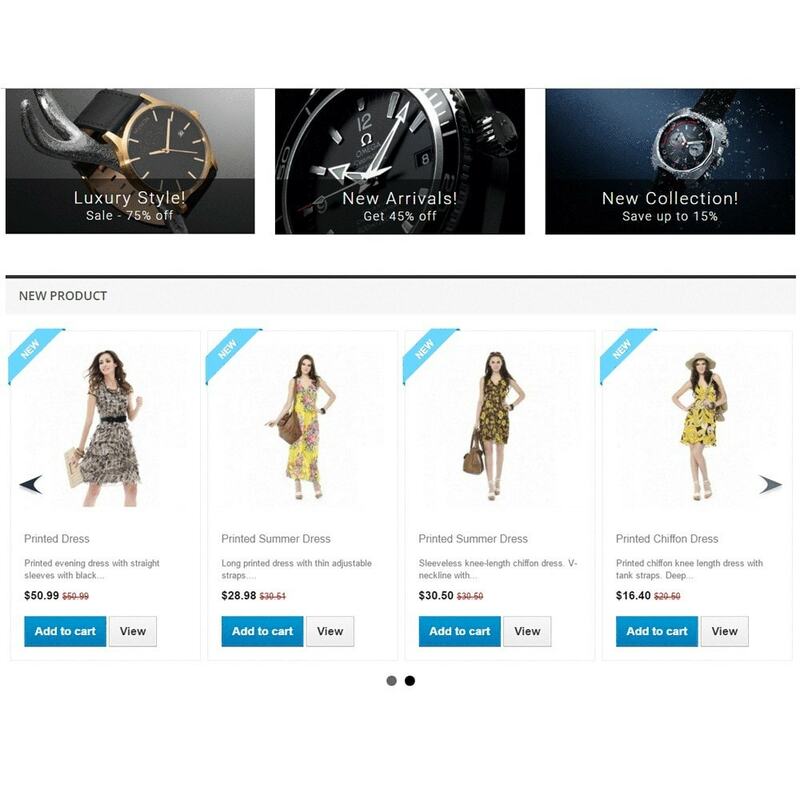 This module lets you add beautiful responsive and touch enabled carousel with New Products. Our premium quality carousel easy to use, fully configurable and adaptable to any mobile device. 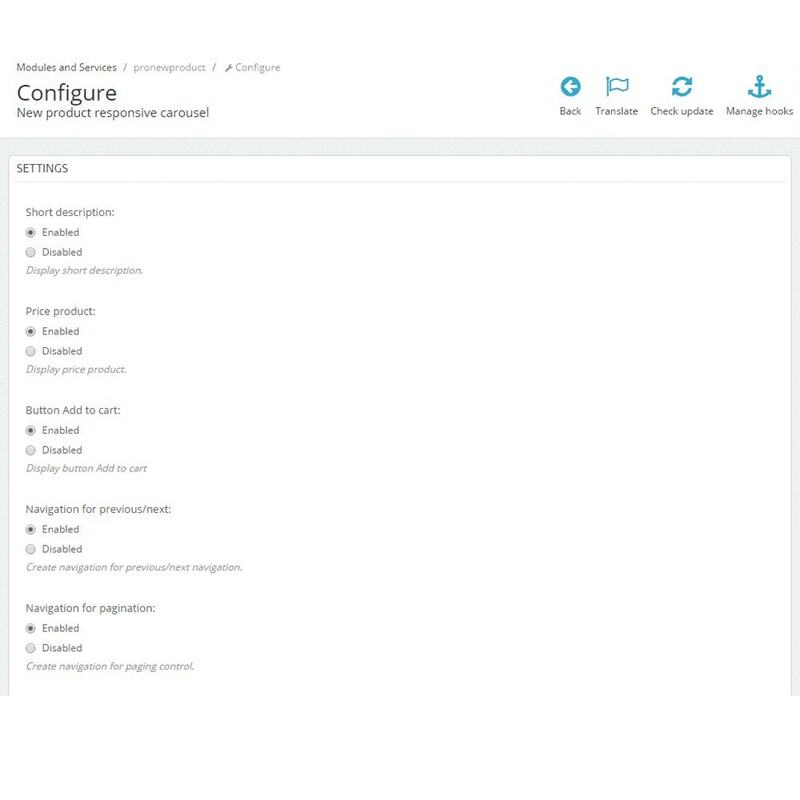 Module "Responsive Carousel with New Products" will help you change your store, make it more professional and engaging. This is premium carousel for your store. With this module you give users a better customer experience. It will increase your sales. Super easy to install. Quick integration. 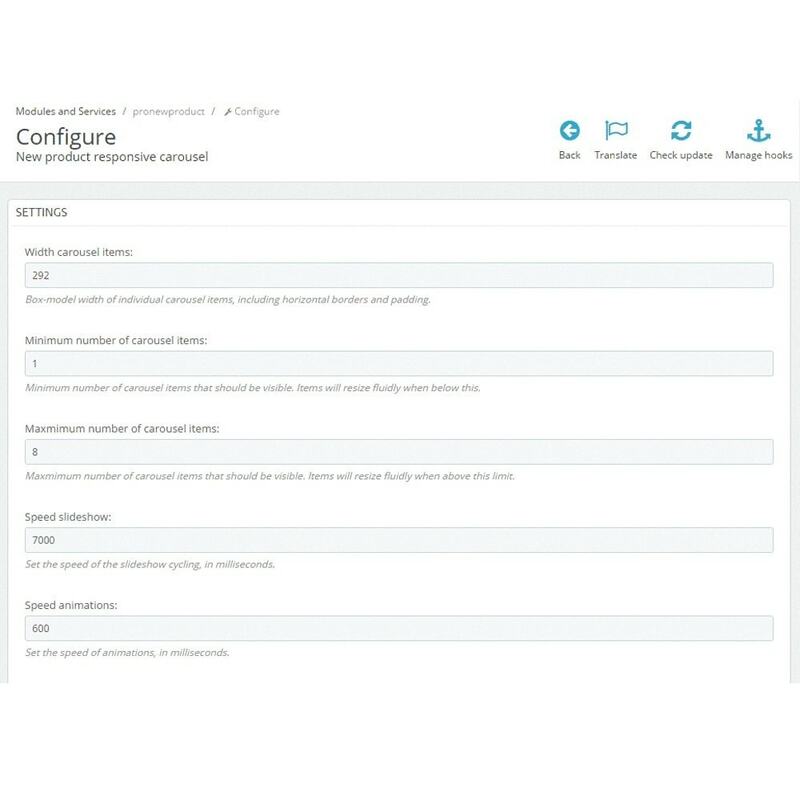 It highly customizable, fully configurable and adaptable to any mobile device. Different positions of hook this module on Home, Left or Right Column. Settings for speed animations and slideshow carousel. Selecting to display or not, different elements of carousel like - "short description", "price", "add to cart" and others. This module it's the best way to bring information about new products for your customers. With this module your store will be more professional and usability. 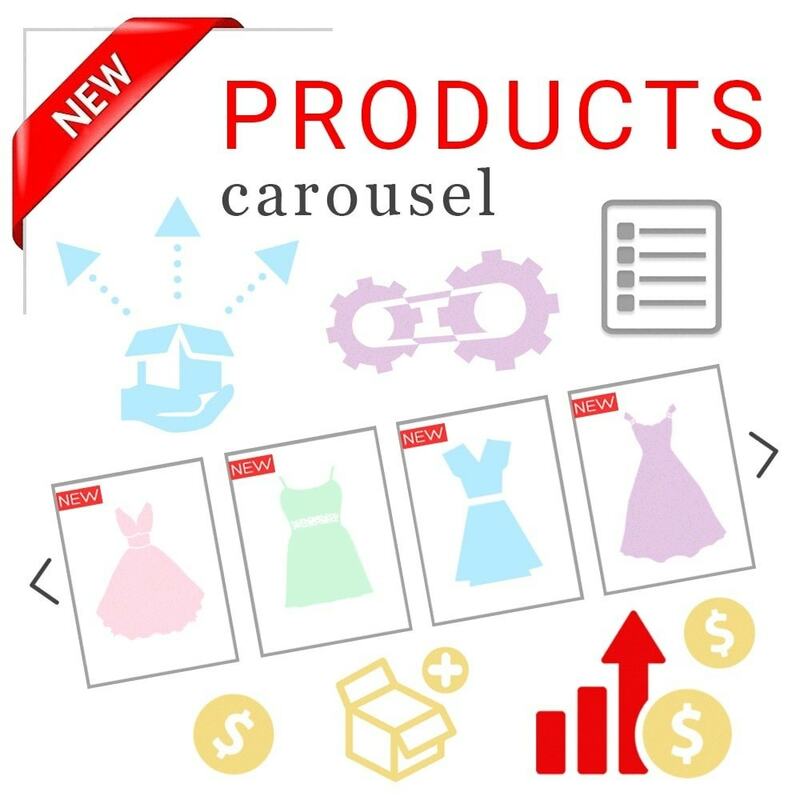 Minimum number of carousel items. Maxmimum number of carousel items. 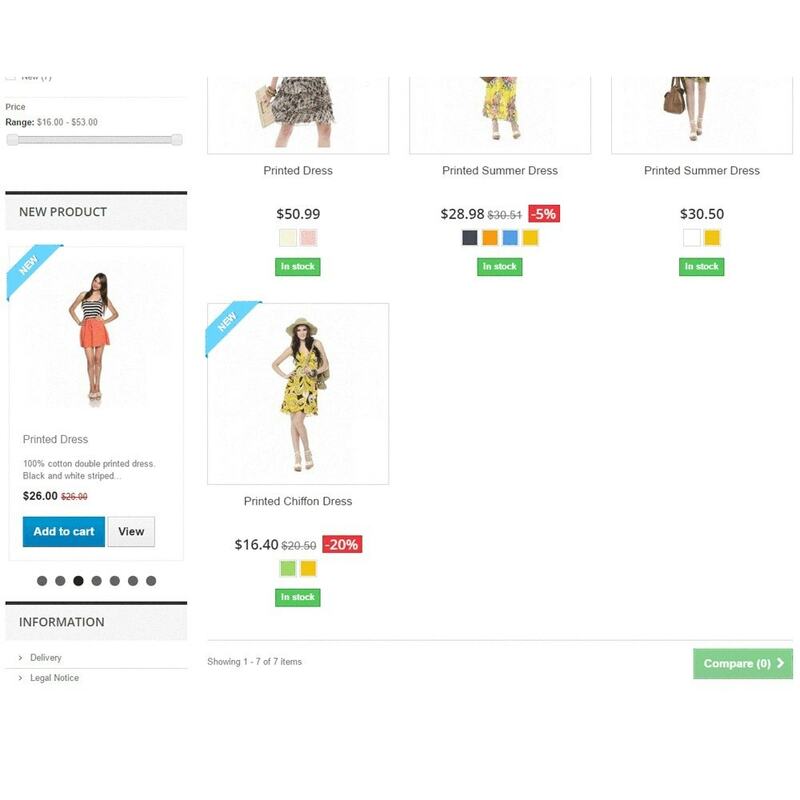 Disable and Enable – Short description, Price product, Price product,Button Add to cart.